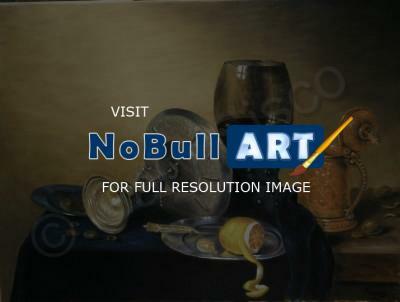 Oil Painting on Canvas based on an old master painting by Willem Claesz Heda in the 1600's. its excellent.very very nice.happy new year. Great composition. Love to see one of the classic pieces like this just leap out at you. This is wonderful! Nice job on painting the silver! Maybe they will accept you in the Louvre. No doubt done by a younger Master. Very nice old style piece!